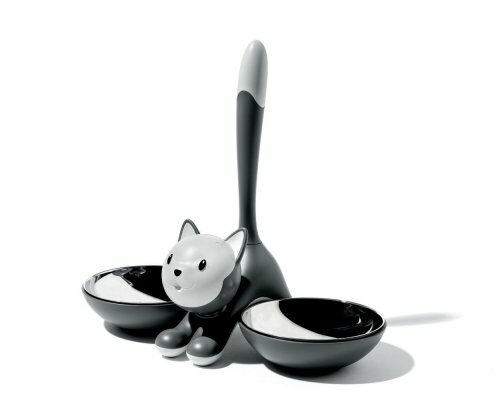 After the "Lupita" dog bowl (2002) comes the inevitable cat bowl. Indeed, "Tigrito" was strongly requested by the lovers of the other half of the pet world. The same designer and the same delicately playful approach, adding a new item to the new collection of articles dedicated to our animal friends. As in previous cases, part of the proceeds from the sale of the "Tigrito" bowl will be given to an organisation for the protection of animals, in this case "GAIA Animali e Ambiente" (GAIA Animals and Environment).